But if so with what color of hair black like the vintage toy or blonde like the Jetlag Version? Definitely black hair... and an Asian physique. 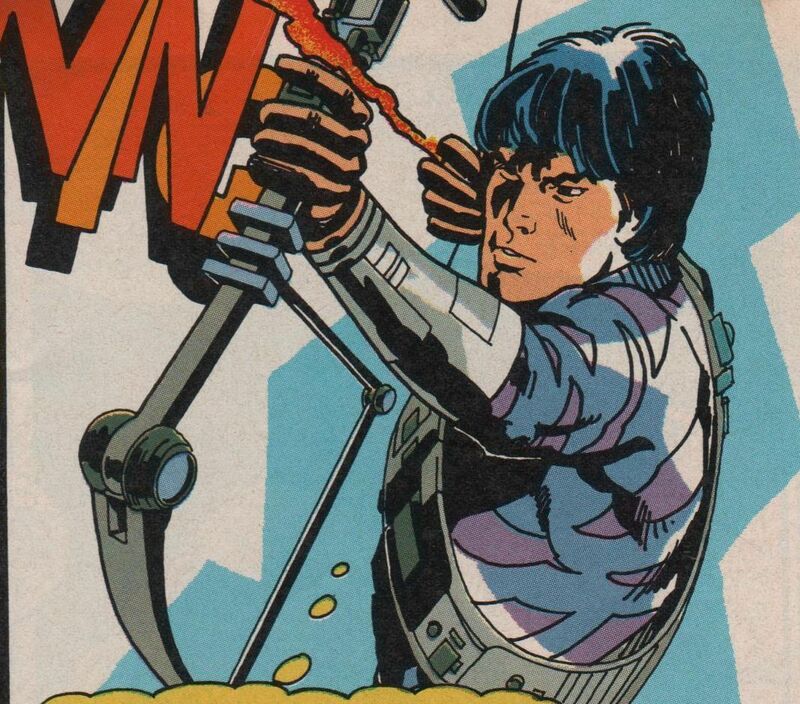 We need more Pacific-Asian influence in MOTU! Or, better yet, both! Offer a second head with his Jetlag look! Vintage toy version for sure, with Asian appearance. Nocturna is awesome and I would love a figure of him. I love this pic of him Penny. He would be such an eye catching figure in his camo. That is an awesome picture! Where does it come from? The Kayo thread is still running strong but I thought I'd bump this guy up. Nocturna would bring a little diversity to the NA shelf and he has a pretty cool look. I've bemoaned the fact that nearly all NA heroes wear blue and it makes for a boring shelf, but this fella pulls it off the way most others don't. Nocturna for 2018! I can't wait for Nocturna I really want him Sagitar, Spinwit, Kayo, and Master Sebrian very badly. Nocturna is like MOTU's version of Snake Eyes! WE NEED HIM!! Sorry Ornclown, I just saw this question! It comes from the Italian Magic Boy comics. Nocturna was prominently featured in a couple of the stories and was a really cool character in those comics! Last edited by Penny Dreadful; March 30, 2017 at 11:51pm. Nice! Thanks for the info Penny! 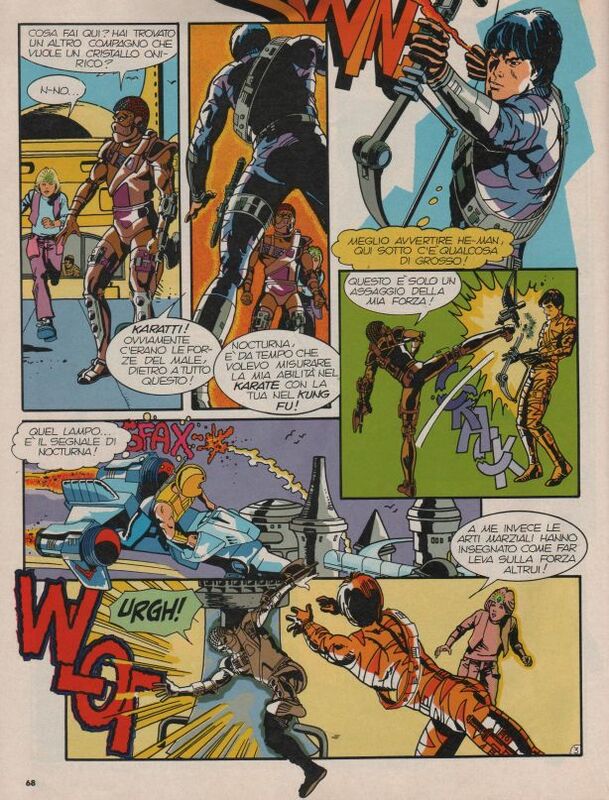 I like how the U.K., German, and Italian magazines really expanded the world of New Adventures, where the characters are truly embraced and elaborated on - as a real extension of Masters of the Universe... it seems to have been more well-received in other countries. Maybe we could get him with two heads and a removable helmet. Come on guys vote, vote, vote. Coming straight out of Preternia, tribal chieftess and the original WARRIOR GODDESS, SHARELLLA!!! Sharella needs her day in Classics. She is the only remaining vintage POG character that needs a figure. Support Sharella for Collectors Choice! Awesome. Thank u. Much appreciated. I *heart* Nocturna! Definitely voted for him! He's at the bottom of my NA want list, but I definitely still want him! I remember a Roast Gooble Dinner from long ago where Toy Guru said Nocturna would be coming in 2015. I wonder where we'd be if we had followed that alternate timeline? I am waiting for Nocturna (toy version) since the beginning of the line. I remeber when I was a kid my mother went for a business trip to UK. I asked her if she could buy and bring me a King Hisss or a Moss Man figure (my favorite characters) ... of course I didn't realise at that time that the MOTU like is over and a new NA toy line is in the shops instead. My mother brought me a Nocturna figure. At first I was dissapointed but that figure was my inroduction to NA and became my favorite. At the same time, since the day I got this figue, I hate action features. For Nocturna the kick action festure prevented the normal leg articulation. Anyway ... Super7, please bring Nocturna to MOTUC and make him toy version and asian. P.S. I remember the Roast Gooble episode were Toyguru was asked in the beginning of the MOTUC line which figures he thinks will be produced at the end of the line. As an example he said: Butthead, Sweetbee and Nocturna. The first thing I thought when I heard this: Aaaarrrgghhh!!!! My fingers are crossed that we get an announcement from Super7 for wave three of CC! Another awesome rendering by gbagok. Excellent! Bring 'im on Super7! !